CRE Console did a summary comparison here. Turns out CRE has improved far greater than we thought... or is it just a really suspicious outcome? ...Express had walked away from a 45,000-sq.-ft. deal at 4 Times Square, on 42nd Street, though the company didn’t disclose its reasons. The store would cost Express $45 million a year, and created downward pressure on its performance expectations for 2012, according to The Real Deal. Retail space in the Times Square area reportedly goes for about $1,800 per sq. ft. Does anyone have an opinion on quality? I know IDC and BVAL can be grossly wrong in many cases. perhaps someone who has Trepp can post 1 price for one bond as of last night, and we can compare to IDC and BVAL? The WSJ reported that shareholders rejected the pay package for the CEO in a non-binding vote. They actually were focused on the base pay package of $1.25mm per year, not so much the $132mm potential stock option awards, because it was more than 2x that of the other employees at Simon. It doesn't really seem like that much to me - the company is worth 45 billion and has 3,300 employees. The only surprising thing about the shareholder group's statement is that the next highest paid employee is apparently taking home closer to 1/2 a million - you'd think the other c-suite guys got more, right? I don't really look at salaries much though, so maybe I'm way off here. Blackstone just agreed to buy Motel 6 from Accor SA for $1.9 billion dollars with a target close date in October 2012. The deal includes the 604 company owned hotels (my guesstimate at 97 keys per property puts that at 58,588 keys or $32,429 per key in terms of real property purchased only) and the franchise business from the 480 franchisees, and an additional 18 properties that were undefined (but this could be the Studio 6 brand that was part of the deal). The total deal value would have come in at $17,699 per key, but keep in mind that includes the Franchise and they're not actually buying that real estate. The WSJ published $25k per key, but I'm not sure how they got there. Looking at it from another angle, the price reflected a 9.3x 2011 EBITDA multiple. JP and Deutsche Bank are providing the debt package, and I wouldn't be surprised to see it in the CMBS market in the near future. 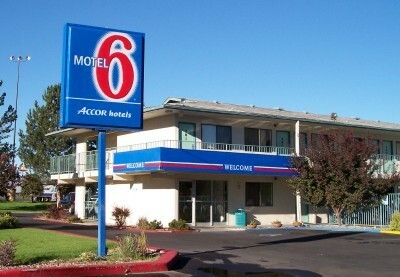 Accor originally purchased Motel 6 from KKR in 1990. Colony Capital owns a 21% stake in Accor. Accor SA sold Red Roof Inns to a domestic investor group in 2007, right at the peak, and the $366mm CMBS senior mortgage from that deal ultimately defaulted in 2009, ultimately resulting in a 48% loss severity just one short year ago. This almost completely removes Accor from the US market (other than Sofitel brands), but they have a substantial base internationally. The US now represents 1% of their total rooms - Europe= 56%; Asia Pacific = 28%. They even have a footnote stating that 35% of the hotel portfolio is in Emerging Markets - apparently roughly half of their pipeline is in Asia Pacific. The englais version of Accor SA's investor presentation on the Motel 6 disposal is here. The current exposure to Motel 6 in CMBS is a little hard for me to gauge, and I'm sure I am missing some. It looks like the entered into a number of 20 year balloons and blocked off the properties in to SPEs with names like Mountain S9, East S9, etc. corresponding to their region. This is definitely not all of the debt associated with the hotels, though, because Accor noted in their press release that Blackstone is assuming €330mm in debt and fixed-lease commitments of €525mm - the debt below is listed with original face values (and it has amortized substantially in most cases) and only adds up to around €130mm using the original face and just a few dozen properties. Accor- California South loan ($11.5mm) in CSFB 2001-CF2, which only covers 4 properties and matures in 2019. Accor - Mountain Summary ($26.8mm) CSFB 1999-C1 is listed as a CTL so it's probably some master lease over a few properties. 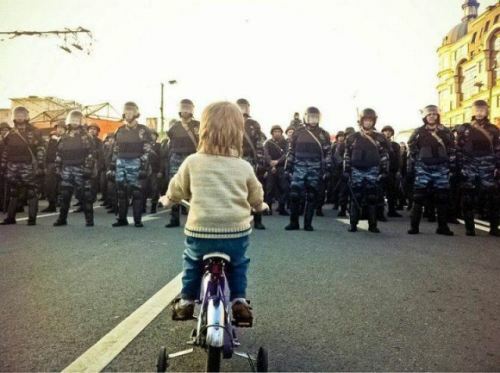 Matures in 2019. Accor - California North Summary ($14.2mm) CSFB 1999-C1 with a 2019 maturity. Accor - East Summary ($14.5mm) CSFB 1998-C2. 5 properties. 2019 maturity. Accor - SouthEast Summary ($13.8mm) CSFB 1998-C2. 4 properties. 2019 maturity. Accor - West Summary ($13.2mm). CSFB 1998-C2. 3 properties. 2019 maturity. Accor - Texas Summary ($30.3mm) CSFB 1998-C2. 6 properties. 2019 maturity. Accor - Florida Summary ($19.2mm). CSFB 1998-C2. 4 properties.2019 maturity. Accor - Midwest Summary ($15.7mm). CSFB 1998-C2. 5 properties. 2019 maturity. There are a couple of other non-defeased Motel 6 loans, but they look like franchises. A bankruptcy judge dealing with the Westin Portfolio (JPMCC 2007-C1 & JPMCC 2008-C2) has ordered a 0% interest rate and a 15-year extension! I mean wow! I'm pretty sure that is unprecedented in the CMBS market, although I haven't read all the sell-side research that I'm sure has been published on it the last couple of weeks. Surely that will be overturned. This was in the WSJ a couple of weeks ago (I'm still catching up, give me a break). You may think I'm joking about it moving markets, but when it defaulted in 2008, CMBS was all of a sudden all over the MSM and the head of Citi's CMBS research was on CNBC talking about it. We've previously posted updates on this loan here, here, and here. You might actually recall it because it defaulted in 2008... just 8 months after it was originated. For the current inventory of REO assets, it took an average 179 days to foreclose on properties in power-of-sale states, versus 323 days in judicial-only states. This suggests that the current REO inventory from judicial-only states represents older stock that is finally making its way through the system. The loan on the Glades Plaza and The Commons at Town Center has popped up again in a planned CMBS from Deutsche Bank (DB, DBK.XE), whose bonds have included Ladder Capital loans in the past. The deal is being shopped to junior investors and isn't final, the person said. My tinfoil hat is a little loose today, but this article regarding our Department of Homeland Security ordering 450 Million rounds of hollow point bullets caught my eye. I don't know why, but that is just a lot of ammo no matter who you are, but it's also hollow point ammo (which is banned in multiple international conventions for military use, so they're planning on using these right here at home) not training rounds. That got me wondering how many employees work at DHS - 216,000. Wow! Over 2,000 rounds per employee... Then I thought CONTRACTORS! They outnumber employees at DHS, so I rounded up to 450,000 workers, or 1,000 hollow points per worker bee. Then I said to myself, hold on, how many people work at DHS? 450,000? That's almost 0.15% of the US population. How many people work for the federal government? A LOT apparently. There is repeatedly disputes that the current government workforce is smaller than it has been historically, but all that data looks at top level, non-contractor, federal numbers. It's frankly hard to get the real numbers using "the Google Service" (tm My Dad coined this term while informing me last Christmas that they had gotten the Google Service at their house since I was last down to visit, so I could use it to look stuff up if I wanted), but I'm going to take a stab at estimating it just so I can feel how big the number is. 1,824,042 (41.67% of total State Government FTEs) - Education; surprisingly, only 7.5% of these are elementary & secondary education employees? 472,306 (10.8%) - Corrections! That War on Drugs is putting people to work! Paul C Light is the guy to turn to for these numbers. He reported in the Washington Times that the number of Federal contractors rose from 4.4mm in 1999 to 7.5mm in 2005, and then to 14.6mm in 2006 (someone to fight our wars). Using his numbers as a proxy, there were 14.6mm contractors in 2006 and 4.133mm Employees of the Federal Government that year, or 3.53 contractors per employee. Using that 3.53x the 4.443mm Employees in 2010, I get 15,683,790 contractors for 2010 (maybe it's less due to the draw down in the theatres of war, maybe it's more due to DHS, I don't know, but this seemed reasonable for now. State Contractors - I have no idea how to start on this one, so let's just leave it off for now. The Census Bureau tells me there are 311,591,917 folks living here, mostly citizens at the end of last year. Of those folks, 114,509,626 were working in nonfarm jobs back in 2009. Realizing that this is somewhat of a guesstimate, but please give me feedback on how to improve it, these are pretty scary numbers. That means that 7.9% of our total population (including babies, for the love of god) are working for the government. For every 12 of us, there is a 13th person working for the government. If you limit the population to just the working population, 21.4% of the US worker bees are making government honey; LESS than 4 out of 5 worker bees are in private enterprise! I don't know - I have never looked at these numbers this way before (apparently other folks have ad nauseum), but these seem really concerning to me. Especially since the States employee contractors as well, and so my numbers are probably conservative. What do these people do? Why is there effectively 1 government employee to represent my household, surely we can do this more efficiently - if that is as efficient as the government is going to get, then I'd rather move to a farm with wind power, a well, and our own private butler for Pete's sake. Obviously I would also want my taxes back, which include 15.3% self-employment tax, an effective (i.e. actual taxes paid divided by actual household revenue) federal rate of 11% (doesn't sound as good after the self-employment tax, does it - I wonder why Mitt Romney doesn't factor that in when he talks about taxes), and an effective state rate of 2%. I actually could afford a butler if I got to keep another 28.3% of my income each year.